16" baseboard diffusers! Extremely hard to find since original makers have disappeared. 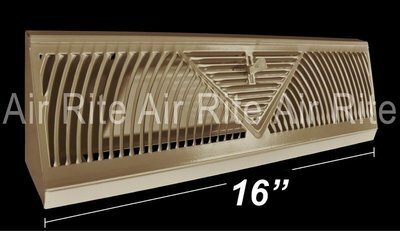 Air Rite is proud to offer these steel construction diffusers with removable faceplate for easy installation and cleaning. Use to replace existing 16" diffusers or in new construction, especially where more free area is desired.